You’re never going to hear the end of this from me. It’s the most important swing fundamental there is. Your hands have to lead the clubhead. A few weeks ago, I changed it to, the handle moves in harmony with the clubhead. Too wordy. How about the handle leads the clubhead? Whatever you call it, you see it demonstrated here by our new U.S. Open champion, Brooks Koepka. His hands got to the ball before the clubhead did. Not by much, only about two inches. But that’s all it needs to be. 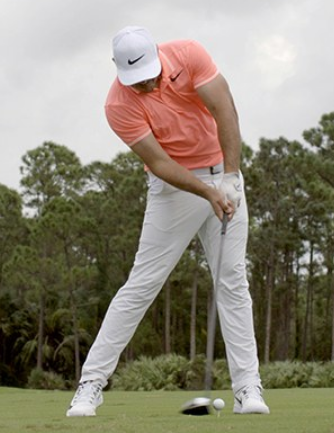 If you’re not used to swinging through this position, it feels like your hands are two feet ahead of the clubhead, but they’re not. They’re ahead by just a little bit. But it’s the most important little bit in golf.